Italian duo Malihini met while travelling. Don't go expecting some sunset love story, though - in actuality, Federica Caiozzo was hitchhiking, distraught following the end of a relationship. Giampaolo Speziale drove her to Rome, and when the car stopped so had the tears, with the pair vowing to continue their friendship. 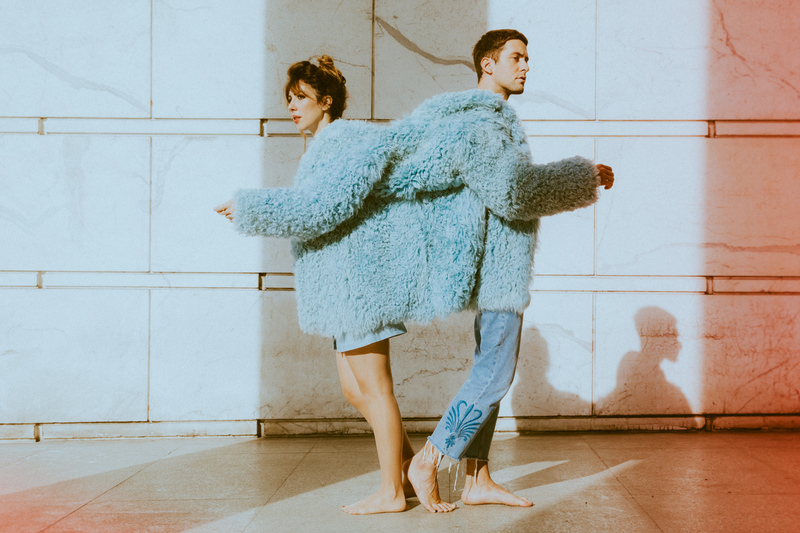 Lo-fi pop with a shimmering, gauzy sense of style, the pair's eagerly anticipated debut album 'Hopefully, Again' will be released on March 8th. Out via Memphis Industries, it's preceded by coy, lugubrious new track 'Delusional Boy', with its beach-ready tones and gorgeous colours. Produced by Richard Formby, it was written in Sicily and it's impossible to listen to 'Delusional Boy' without dreaming of those endless sun-burnt fields.